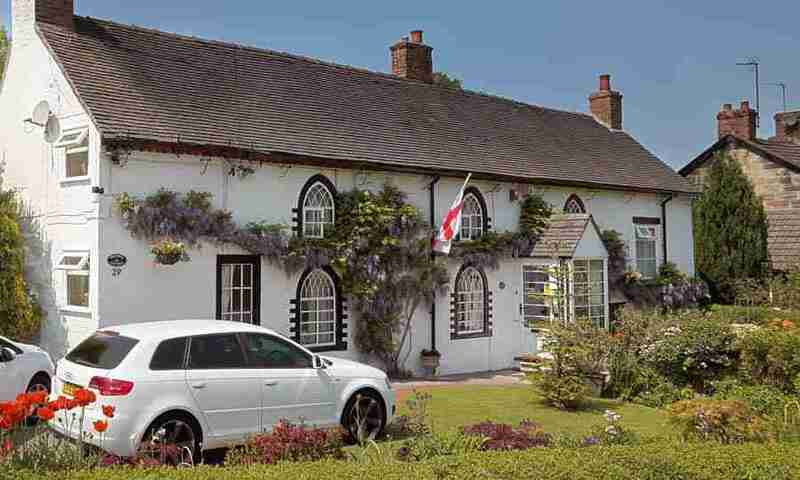 Wisteria Cottage is a Grade II listed B&B dating back to before the 16th century. With its original oak beams and church like windows, this cottage has a really special, cosy feel. Situated in the heart of the picturesque village of Alton, just 1 mile from Alton Towers itself, it provides an ideal base for visiting this amazing Theme Park as well as touring the surrounding areas of the Staffordshire Moorlands and Derbyshire Dales. The popular market towns of Uttoxeter and Ashbourne are only a few miles away, the latter being considered the gateway to Dovedale and The Peak District. With The Potteries of Stoke on Trent within easy reach for visiting the factories, shops and museums, as well as the many country walks, stately homes and gardens nearby, we really are perfectly positioned for a fabulous stay in the country. For evening or afternoon meals to enjoy during your stay we’re just a few minutes walk from a selection of quality pubs and restaurants. 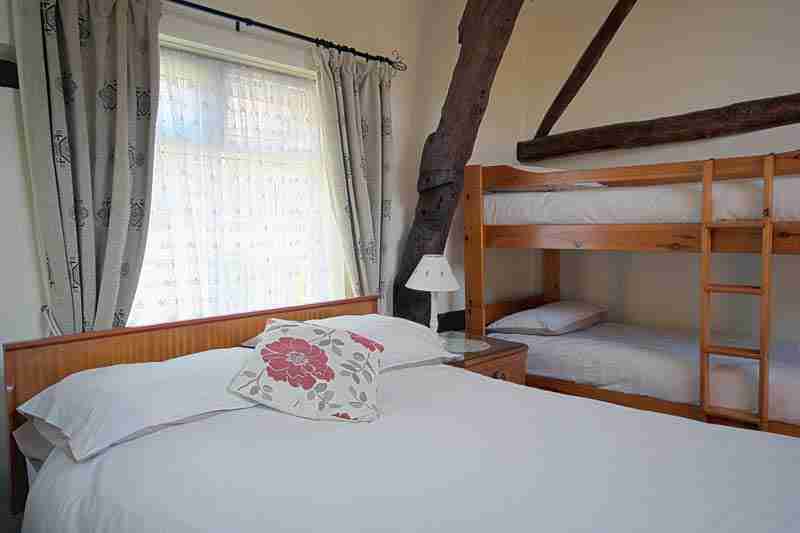 Our double room is somewhat smaller, but is perfectly formed and also benefits from a colour TV, tea and coffee making facilities and an ensuite shower room. Wisteria Cottage B&B provides FREE WiFi and car parking. Wisteria Cottage has a beautiful secluded garden, which is a real suntrap – perfect for relaxing in after a hard day enjoying the best of what Staffordshire has to offer. 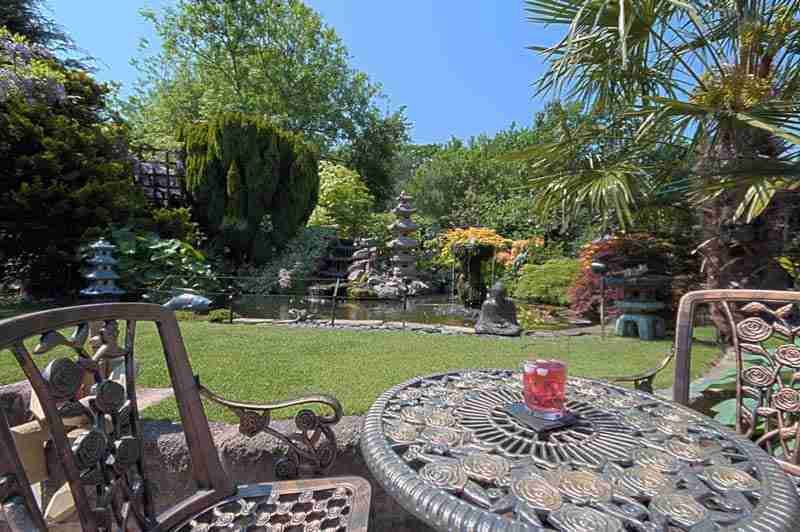 With a well stocked Carp pond (that has been made safe for children) and an amazing selection of mature plants and shrubs, you’ll enjoy every second you spend here. Imagine enjoying a drink in the garden, surrounded by plants, birdlife and beautiful views across adjacent fields. Wisteria Cottage is the perfect oasis in which to spend a few days away. Our Gallery contains more photographs of our fabulous cottage. The couple who own this B & B are so lovely and welcoming. The bedroom we stayed in was a very high standard. So comfortable and clean. I slept like a baby there and I am not a good sleeper. It’s in the beautiful village of Alton where there are lovely pubs and everyone is really friendly. Highly recommend this B & B and it’s a stone through from Alton Towers.